Ryogoku is the neighborhood of the the world of sumo in Tokyo. It is located on the banks of the Sumida River, on the other side and 1.5 km further south from Asakusa. Almost everything that can be interesting in the area is somehow linked to the world of sumo. The largest sumo stadium in all Japan. 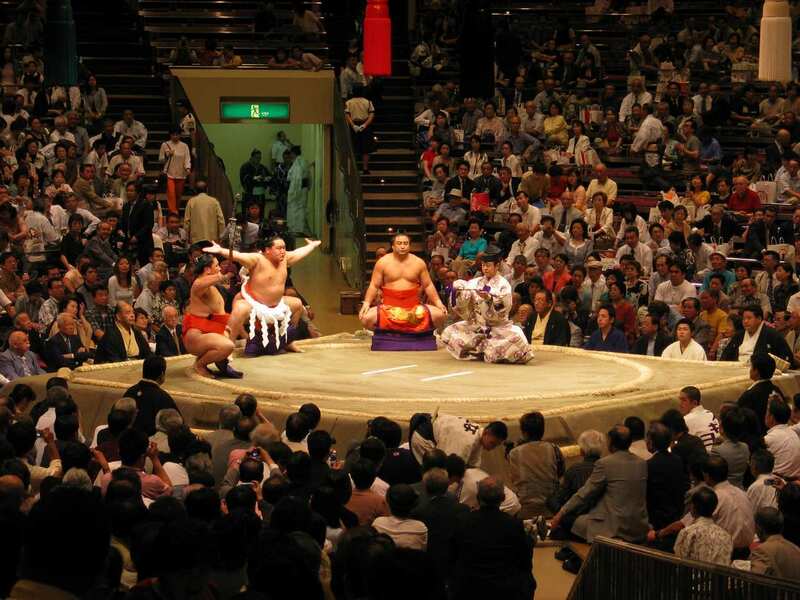 The sumo tournaments are held in January, May and September. These tournaments are quite "friendly" to foreigners, in fact there are brochures with the programs in English, and you can hire radios that comment sumo matches in English. The ticket prices vary between 3500 yen and 8000 yen depending on the kind of seat and the distance of the seat from the ring. Tickets can be purchased at the Kokugikan box offices, at the convenience stores (konbini), or even on the internet. More information on this website. Inside the Kokugikan there is also a little sumo museum (free admission, 10-16:30, closed on weekends), all in japanese. In times of tournaments only ticket holders can visit it. Ryogoku is also a neighborhood full of beya, the gyms where the sumo wrestlers train themselves. In some cases, you can watch the trainings for free or making an offer. To do so it it is almost necessary to go together with some japanese friend, or at least you should speak Japanese. Trainings usually take place in the morning and could happen to meet some sumo wrestler on the streets of the neighborhood. This museum has nothing to do with sumo. 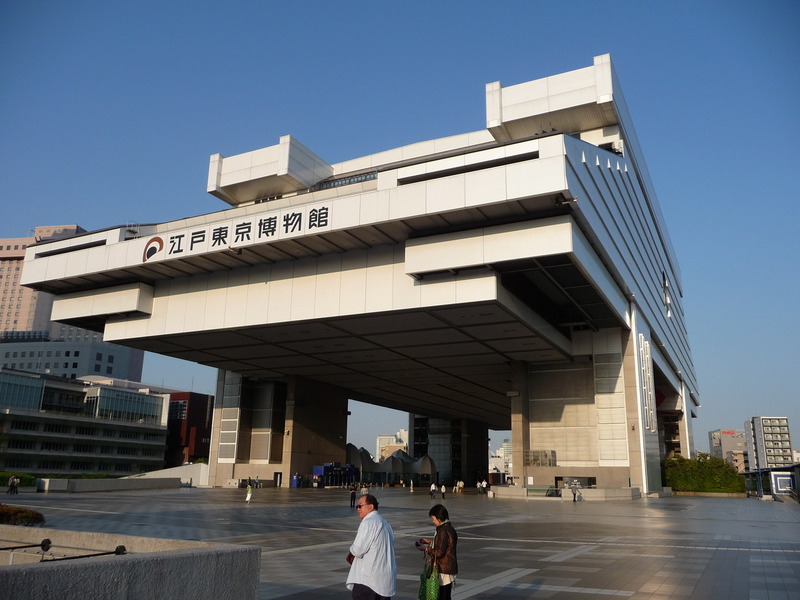 This is an interesting museum that retraces the history of Tokyo from when it was named capital during the Edo period, to the Second World War. There are many life-size replicas of historic buildings inside. The museum offers lots of information in English and other languages and it's a very popular tourist attraction. Ryogoku is not a recommended neighborhood where to stay, because it's pretty far from the city center and it hasn't any nightlife. Next to the Kokugikan there are two big hotels, the Pearl Hotel and the Dai-ichi Hotel, but there is no reason to decide to stay in Ryogoku, unless the main reason you're going to Tokyo is to follow a sumo tournament. On the other side of the Sumida River, in the area of Asakusabashi, there are some pretty cheap accommodations instead, especially the Anne Hostel, with dormitory beds as low as ¥ 2,600 per night (breakfast included), the Khaosan Tokyo Ninja hostel, with dormitory beds as low as ¥ 2,200 and double rooms from ¥ 3,000 per person per night, and the small Hotel Yanagibashi, which offers single rooms with private bathroom as low as ¥ 5,000 per night. The most interesting dish served in Ryogoku is Chanko. Chanko is a very high-calorie dish usually eaten by sumo wrestlers, it's a mixture of many things, it can include vegetables, meat and fish. A chanko restaurant is usually pretty expensive. In the map below it is marked one of the best ones, Yoshiba chanko. A pub that offers a wide selection of beers including more than 40 japanese microbrews. The closest station to the Kokugikan and the Tokyo Edo Museum is Ryogoku station, served by the Chuo-Sobu line of JR and the Oedo line of Toei metro.